A recent article in CJASN from the University of Utah Health Sciences sheds an important issue in our field. Using a faculty roster of the American Medical Colleges, they studied the number of full time nephrology facutly over the years. There were 1315 full time faculty in 2008, this was 4.9% lower than 1998. Importantly, there were more and more senior faculty but not an increase in junior faculty. There was a decrease in tenured academic nephrologist and an increase in non tenured academic nephrologists. Majority of the faculty comprised of an increase in international medical school graduates and fewer american graduates. This data is interesting and worrisome as there will be a shortage of academic nephrologists in the future. 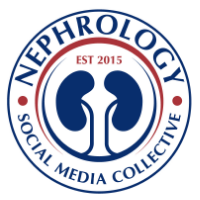 The monetary payback, the current economy and the lifestyle are likely major players in the decision making of residents going into nephrology and then fellows going into more private practice settings. Perhaps, as a community , we have to encourage more fellows to take on the road for academia ( clinical, basic science researcher or a clinician educator). The task is tough.